Home Blog Congratulations to Laurie Grant, the winner of the Bicycle fundraiser. Laurie is a CoxHealth employee in the Case Management department. Thanks to all those who supported this effort $3,185 was raised for the Rehabilitation Fund at the CoxHealth Foundation. This fund helps to provide scholarships to patients who need rehabilitative care following an accident, injury or illness. The goal is help individuals get back into life, healthy and ready to be active again. Laurie is excited to use this bike to continue her healthy lifestyle. 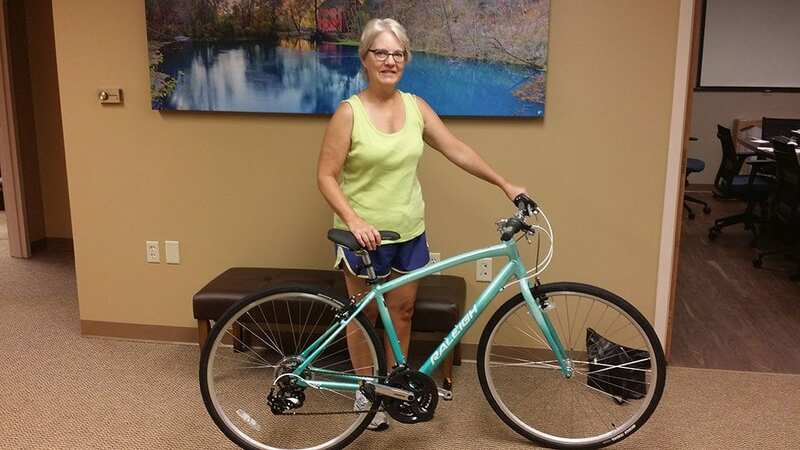 Congratulations Laurie and thanks to the Bicycle Place in Nixa for donating the bike.